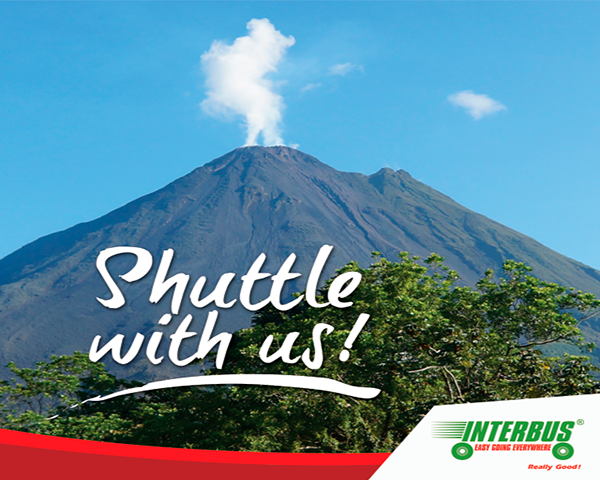 This service offers convenience and saving money; shared Transportation is a service from hotel to hotel, connecting different destinations in La Fortuna. 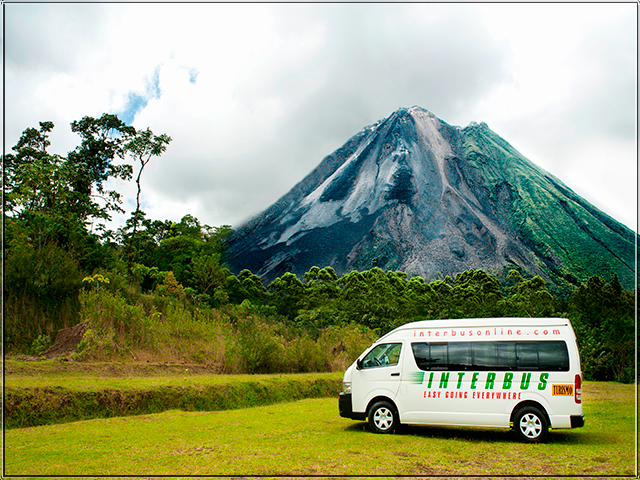 Interbus is the best option for Shuttle Transportation in Costa Rica, offering you the possibility to travel to the area of La Fortuna through the different Tourist areas of the country.Interbus provides Transportation service from San Jose to La Fortuna in the morning at around 08:00 am and in the afternoon at around 14:00pm. Costa Rica offers a good quality Public Transportation. Autotransportes Venecia is the company responsible for providing public transportation from San José to La Fortuna / Arenal. San Jose is the most important departure point for public buses to any destination in Costa Rica. Local flights are a great way to travel between destinations in Costa Rica. Nature Air company offers a daily flight from San Jose to La Fortuna / Arenal. For more information or to book your ticket, please contact Nature air Costa Rica or Sansa regional, and they will help you. The most Important Attraction in this national park is the impressive and majestic Arenal Volcano. This volcano has an almost perfect 1.633 meters high crater, and has one of the most extraordinary and stunning natural landscapes of Costa Rica. The park trails will guide you, and there you can enjoy the sounds of very colorful birds, fauna and flora. For these reasons, if you?re going to enjoy this area, you cannot forget to visit this national park, located only around 5 miles from La Fortuna?s down town area; it is open to the public until 16:00pm. This waterfall is located within the area of Arenal Volcano National Park; the waterfall is generated by the La Fortuna river waters and other smaller tributaries. These waters rise in the mountains of the park. The waterfall has rocky foundations of great geological value, and these rocks increase the scenic beauty of the waterfall. An observatory with a beautiful view. Is also a suitable place for people with disabilities. The descent to La Fortuna Waterfall has 480 steps, and on the way you will find comfortable seating areas. Down the road you will see the waterfall, which is 70 meters high. There you can swim and enjoy the crystal clear waters. The hanging bridges are located just 20 minutes from La Fortuna down town, in front of Arenal Volcano National Park. The park is an eco-tourism project for migratory species, but also has many native species. This place has 250 acres of protected land. Here you will find primary rainforests and a lot of biological diversity. There are fourteen bridges, eight permanent and six suspended, ranging from 8 to 98 meters in length. These bridges reach up to 60mts high. During the tour you can appreciate beautiful flora and fauna. The trails are designed to be enjoyed by people, without altering the environment. The opening hours are Monday to Sunday from 6:00 a.m. to 4:30 p.m. The lake, pond, or artificial Arenal dam is the largest in Central America, and has an area of 85.5km2; this is a hydroelectric project, and today this project produces 40% of the energy consumed in Costa Rica. Arenal lake is very famous, because the people can practice many water sports such as windsurfing, kayaking and fishing (there are two predominate fish species: Machaca and Lubina). This lake is also a means of transportation to the Monteverde area. In this zone you will see many species of birds like the Woodpecker and Hummingbird. If you visit La Fortuna, do not miss the lake and enjoy its activities. La Fortuna has several hot springs, around the town. The travelers can enjoy the hot water from the Arenal Volcano; in the area you will find many different places, for example you can visit Ecotermales, Tabacon or Kalambu, are some places where you can enjoy these lovely waters. If you submerge yourself in the famous La Fortuna hot springs, you will get many health benefits. These waters cleanse the blood, removing toxins through perspiration, rejuvenate the skin, and also reactivate the metabolism and relax the muscles. The hot spring helps rheumatic people to regulate the system, too.These are some of the many benefits you will get if you visit these places in La Fortuna. La Fortuna offers many options for enjoying your vacation, you can choose walking, kayaking, rafting, fishing, horseback riding, bird watching, canopy and hiking tours. These are just some of the activities you can enjoy while visiting La Fortuna de San Carlos, all these attractions make this area one of the most important Tourist Destinations in Costa Rica.